Special ToolsJ-2619–01Slide HammerJ-44467Output Shaft Assembly Remover andInstallerRemoval ProcedureRaise and support the vehicle. 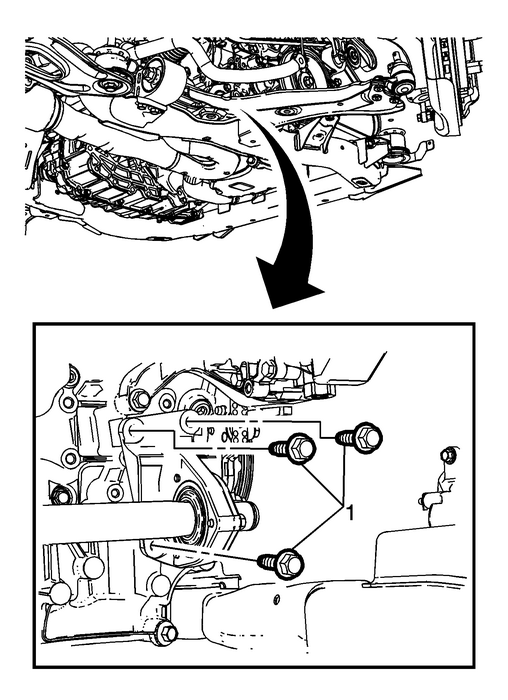 Refer toLifting and Jacking the VehicleRemove the wheel drive shaft assembly. Refer toFront Wheel Drive Shaft Replacement. Note:Remove the retaining ring. DO NOT re-use the retaining ringdiscard. Use NEW only. Remove the retaining clip for the wheel drive shaft. Remove the mounting bolts-(1)-for theintermediate shaft and support bracket. 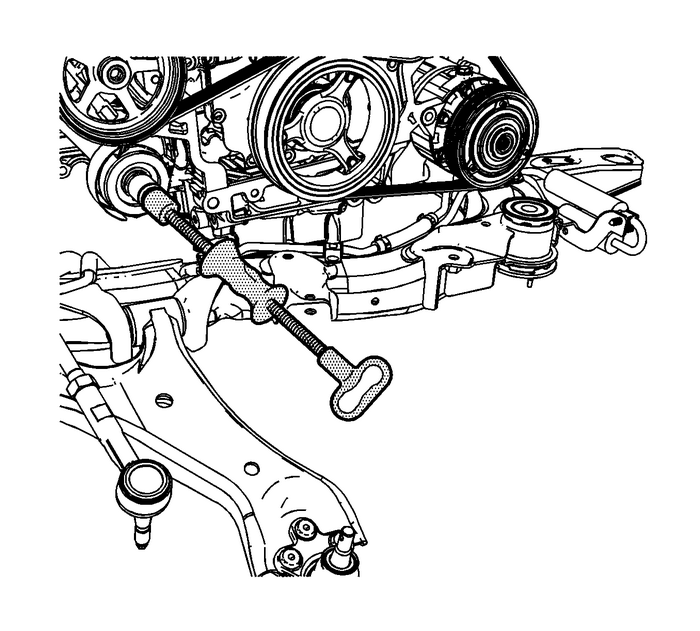 Using theJ-2619–01hammerand theJ-44467remover and installer, remove the wheel drive shaft from thetransmission. 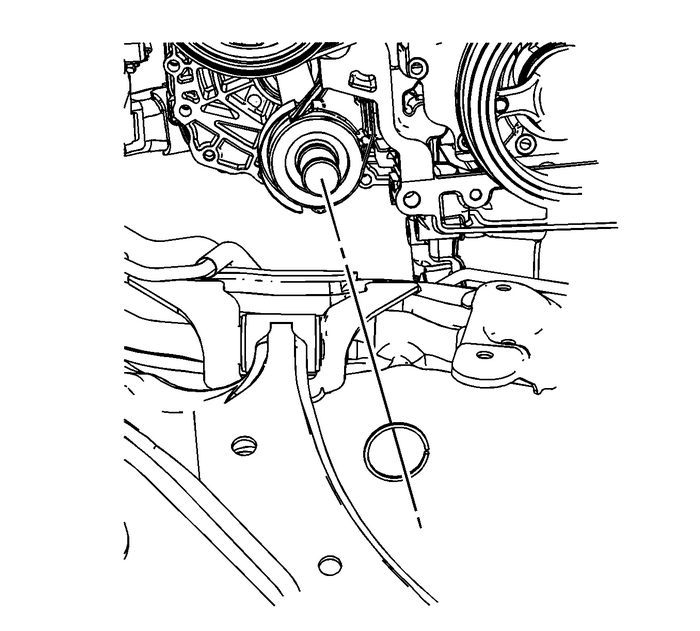 Note:Ensure that the intermediate shaft is properly seated. 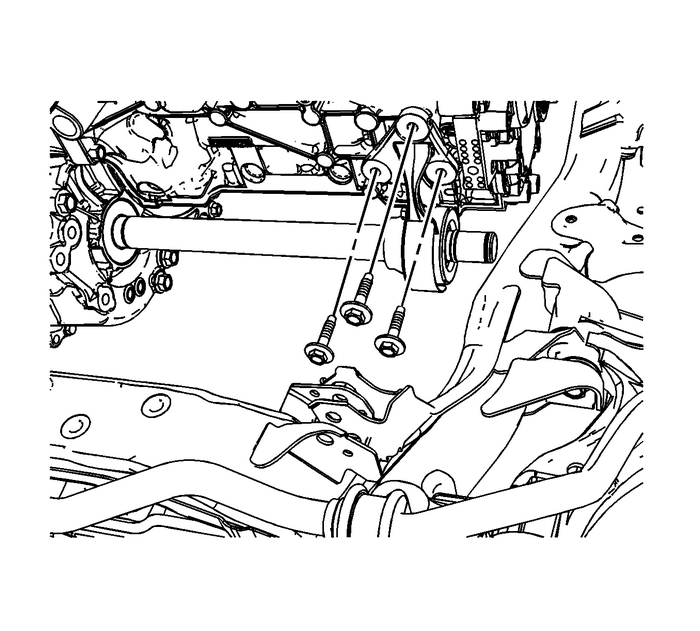 Install the intermediate shaft-(1)- inthe vehicle. Install the intermediate shaft mounting bracket and tightento35-Y(26-lb-ft).. Install the NEW intermediate shaft retaining.Install the wheel drive shaft assembly. 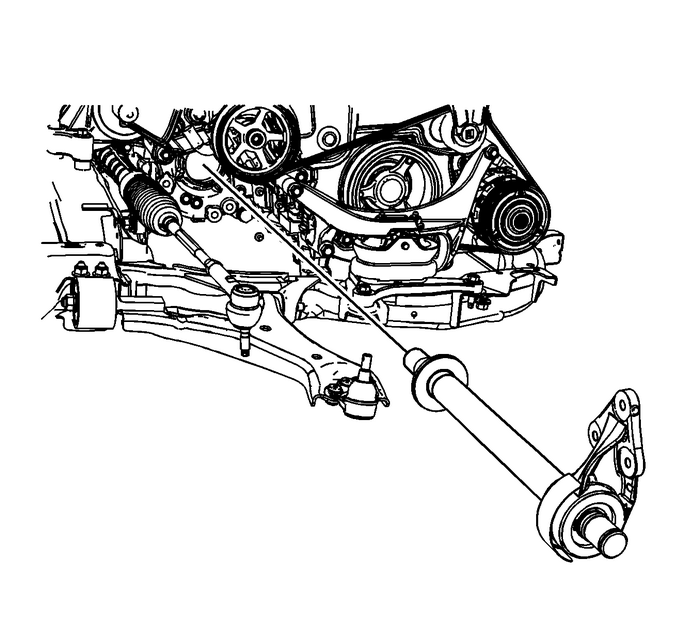 Refer toFront Wheel Drive Shaft Replacement.Remove the support and lower the vehicle.